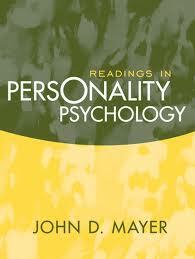 Personality Psychology Research Papers explore a sample of an order placed for a Psychology class, and explains the format it must be written in, and the subject matter. Although the long enduring “nature vs. nurture” controversies over whether personality traits are primarily attributable to biological versus environmental factors are unlikely to be decisively resolved at any point in the near future, even the most dedicated advocates of the environmentalist (nurture) perspective now admit that hereditable characteristics may affect how personality develop. Likewise, even the most committed supporters of the biological (nature) emphasis concede that environmental variables play at least some role in mediating the impacts of biological predispositions on personality. Research from the writers at Paper Masters adds further insights into the basis for the emerging consensus concerning the fundamental dimensions of personality traits by maintaining that despite their concrete content disputes most personality theories are based on a common underlying meta-theory, consisting in part of a core statement about mental content that is inborn rather than learned. The author argues that at this level, nearly all personality theories assume that humans are fundamentally the same in terms of the notion that specific inborn characteristics reflect the influences of biological imperatives on mental functioning. Each of the theories also includes a developmental statement that defines how, as a personality tendency is expressed through one’s interactions with one’s social environment—and through the manner in which influential responds to these expressions—the target person learns how to behave in line with societal expectations. Harry Stack Sullivan’s theory of Interpersonal Psychiatry focused more on the study of interpersonal relationships and how they shape personality and behavior. He was similar to Adler in that he rejected the heavy emphasis on studying the past. Sullivan was similar to Freud in that they both believe that childhood experiences determine adult personalities. Sullivan also believed that social interactions cause anxiety and that individuals develop defense mechanisms to combat uncomfortable situations. Freud also believed that the mind has three parts: the ego, the id, and the superego. The ego represents a person’s everyday thoughts, feelings and behaviors. These are the items that people are aware of. The id represents a person’s subconscious thoughts, feelings and behaviors. People are unaware of these and many of these thoughts, feelings and behaviors are deeply repressed. The superego represents a person’s ideals and morality. It monitors the interaction between the ego and the id, and according to Freud’s theory, any conflicts between the ego and the id cause anxiety and depression. Freud believed by examining your innermost thoughts and concentrating on the repressed events, an analyst can link them in a way that leads to the patient’s understanding. Then, the patient, now aware of them, can process them and incorporate them into his/her conscious understanding. This allows the person to move beyond the repressed items. Carl Jung was probably the most like Freud in his theories about personality and behavior development. His Analytical Psychology included three parts (similar to Freud’s): the ego, personal unconscious and collective unconscious. The ego is the conscious mind; the personal unconscious includes items that a person can consciously remember (e.g., memories) as well as ideas and feelings repressed into one’s subconscious; and the collective unconscious consists of a “psychic inheritance” that individuals are born with that represents the collective experience of all species. Jung also developed the idea of archetypes. Archetypes make up the collective unconscious and categorize our actions. Each archetype helps us understand what we expect of that type of person. Recent developments in the research on personality traits are indicative of an emerging concerning the fundamental dimensions of personality traits involves the growing acceptance by specialists in different braches of psychology that personality traits develop as a result of the complex (and as yet poorly understood) interactions between a combination of variables. Although supporters of contending schools variously argue that personality traits develop primarily due to genetic, environmental, or brain-related influences, the authors’ analyses suggest that none of these models fully captures the complex pictures of how personalities develop. For instance, the authors note that not even monozygotic twins—individuals whose genetic makeup are identical—develop highly similar personalities: a necessary observation if one is to support the notion that personality is primarily genetic. Likewise, the authors indicate that despite strong support for the notion that environmental factors have profound impacts upon personality development, the fact that even siblings raised in shared household environments develop entirely different personalities indicates that environment cannot explain everything. Such mounting evidence appears to be driving scholars and practitioners from various theoretical schools towards at least some agreement that personality traits develop through the interactions of multifaceted variables. In line with such findings, for instance, the majority of leading scholars now concur that addictive personality traits are the product of several diverse biological, environmental, and psychological influences. This growing concurrence derives in large part from a sizeable and steadily increasing body of literature indicating, for example, that both environmental and genetic are involved in the widely observed tendency for alcoholic personality traits to be evident in specific families across generations. Whereas genetic factors appear to account for between 40 and 60 percent of this heritability, environmental factors such as life in households where alcohol is used as a “coping” mechanism are believed to account for much of the remaining proclivity for alcoholic personality traits to transcend generations in the same families. A similar consensus may also be evolving, though at a somewhat slower pace, around the likelihood that criminal personality types are shaped by interactions between a number of contributing factors. Some specialists continue to insist that violent criminal personalities are linked to brain disorders precipitated by tumors, head injuries, neuropsychological dysfunctions in the left hemisphere, and/or low cortical arousal. By contrast, supporters of a competing view argue that the major biological factors implicated in the development various types of violent, criminal personalities are genetic rather than brain-related. Yet other experts have for decades heatedly contested the very idea that violent criminal personalities may be linked primarily to either brain-related or genetic variables, forcefully maintaining instead that violent personalities are almost entirely the result of environmental influences. According to these theorists, violent criminal personalities develop mainly—or even exclusively—as an outcome of the negative cumulative effects of acute abuse in early childhood, neglectful and/or violent school and community environments, and grossly inadequate social services. Although the supporters of these contending models are as yet hardly ready to abandon their disputes, growing numbers of researchers agree that although biological factors play important roles in predisposing certain individuals to criminal violence, these predispositions require critical environmental triggers for actively criminal and violent personalities to develop. Such integrated models prove more satisfying for those concerned about the limitations of strictly environmental models for explaining why the overwhelming majority of people reared in even extremely adverse home environments never develop violent criminal personalities. The integrated models are also appealing for those who challenge the notion that everyone with a biological predisposition to criminal violence will, regardless of environmental circumstances, develop such a personality. A clear description of the theories of personality, with biographical information that places any specific personality theory in socio-cultural-historical context. A clear description of what is unknown or fictionalized for the point of illustration. Clear introduction to the theories that you are using as a basis for your project. Complete and concise description of the organizational approach to describing the personality trait in relation to the theories. How should the reader approach your discussion? Clear use of scholarly literature that includes current research, theory, and practice or a description of omissions in the literature. This should not be comprehensive, but does reflect the “state of the art” or most important contributions in the area. Citation procedures following APA guidelines are correct. Birth Order and Personality - Birth Order and Personality research papers custom written for college and university students. A Primer of Freudian Psychology - A Primer of Freudian Psychology defines personality as having three major parts; the id, the ego, and the superego. Freud Latency Stage - Freud Latency Stage research papers look into the fourth stage of Sigmund Freud's 5-stage framework of childhood and adolescent psychosexual development. Freud - Freud research papers discuss Freud and his psychological theories. Social Development in Children - Perhaps even more importantly, Erikson was the first major theorist to suggest an “epigenetic sequence of personality development over the lifespan”. Paper Masters writes custom research papers on Personality Psychology and explore a sample of an order placed for a Psychology class, and explains the format it must be written in, and the subject matter.